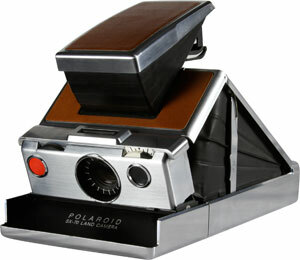 I remember well the magical effect of the Polaroid. The little white pictures would be passed from hand to hand, so carefully, as each person in turn cooed and often giggled with delight at the developing image. The sharing meme was clearly there, magnified by both the immediacy and the precious scarcity of the item — shots were limited by the film’s expense and the individual images were one-of-a-kind, difficult to copy.